There is always the worry when quitting drinking, that once you do, your life will become horribly boring! I have to be honest here, and say that in the beginning, life will definitely feel a bit boring. After all, we were used to doing everything with a drink in hand, so it is no coincidence that we tend to associated all the fun activities with drinking too. Then we get sober and take away the drinking and all of a sudden it seems that all the fun is gone too! But, OK, let’s be honest here again, where those activities actually fun!? Maybe the first few hours, right? But if you drank anything like me, eventually you would find yourself falling down drunk and in a blackout, and have no recollection of any of this great fun the next day. Ugh. I don’t miss those days! Having fun in sobriety can be a whole new learning process. Like a toddler learning how to walk, being sober means re-learning everything we thought we once knew how to do only while drinking. So, start with a few things and keep trying something every week. The greatest part of this process is that you may find some new things that are actually really fun to do sober! You can start right now! Here is the list of fun activities that you can do instead of drink! I am hoping that you all will pitch in with more suggestions, and make this list reach 100! Woot Woot! Please leave your fun ideas in the comments section! Let’s fill up this list! Play some fun mind games and sharpen your memory at Luminosity.com. Do crossword puzzles. You can find free kakuro puzzles at Kakuro.com and free Sodoku puzzles at Livewire Puzzles. Design your own T-Shirts at www.cafepress.com. Netflix! Find a series you never watched before but wanted to. Or revisit a series you loved. Make a collage of inspirational pictures/quotes, click HERE to see what I found on Google. If you have some money staffed away, and some free time, look into going on a sober cruises! Check out these offers at sobercruises.com. Do you love classical music, maybe play a classical instrument? You can now download free scores from free-scores.com! Re-watch a cartoon from your youth. Check out these classics right on YouTube. Visit an aquarium. We recently went to the National Aquarium in Baltimore, MD and I absolutely loved it! Check out the Hello My Name Is… site, where the artist creates wonderful portraits of people in recovery. Take interactive online music & art lessons from 26 world-renowned teachers at artistworks.com. Check out My Yoga Works for online videos of yoga classes. Click HERE to start your 14-day free membership. Check out the Bubble Hour and find a great recovery podcast! Write your bucket list, check out the 100 ideas at Bucket List Ideas. Shopping! Of course who doesn’t like going shopping! Dumb fun: 15 dead stupid, utterly joyful PC games <<< need I say more! Take a long bike ride on a bike trail through the woods. How about learning rock climbing! www.earthtreksclimbing.com is a great site for instructions and classes! Forget Google Maps, check out Google Earth! I was born in Poland and I was actually able to visit the neighborhood where I grew up without leaving my couch. Very cool! Check out the Humans of New York site and Facebook page, loaded with personal stories of ordinary people. How about creating some cool coffee mugs, all you need is some sharpies and white mugs. Check out these ideas HERE. Bake cupcakes or a cake, and decorate. There are many ideas at Bake Decorate Celebrate. Join a Photo a Day Challenge. Check out the prompt for today at Fat Mum Slim. Visit a museum, or a historical landmark. Check out Minecraft! Minecraft is a game where you dig (mine) and build (craft) different kinds of 3D blocks within a large world of varying terrains and habitats to explore. Find a new outfit for your little pooch, you can find some fun clothes at Puppy Love Couture! Start a free blog at WordPress. It is really easy! Want to chat with me? 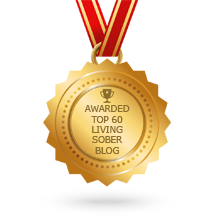 Send me a tweet @SoberCourage on Twitter, or email me at sobercourage@gmail.com. Take an art class at the local community center. Research your ancestors at Ancestry.com, they have a 14 day free trial. Want to design a car? You can go to your favorite car make’s sites and build the car of your dreams. Check out the Aston Martin site! Write a letter (remember those?) to someone you miss. Listen to your old CDs – I have boxes of these! Make a wiki page at WikiPedia. Create a Photo Book of your greatest memories, or a recent vacation. See Shutterfly for some cool ideas. Learn origami with this tutorial. You don’t have to be Japanese to be good at it! Design your dream room or make 3D structures on Sketchup! The program is completely free! Take a class to learn how to play a musical instrument. Maybe you are a money guru, there is a website full of investment classes just for you here: 158 Free Investment Classes From Morningstar! Make some money by selling your stuff online, you can use eBay, CraigsList and now even Amazon! Pick something you love, and then make a website about it! Get started at Webs. Get a pedicure or a manicure, they are fairly inexpensive and make you feel well pampered. Check out these amazing stories of recovery from people who are not anonymous, at IAMNOTANONYMOUS.org. Go to a spa and get pampered. Make a tie dye t-shirt. Check out these ideas here: Michael’s. Explore a city or a town close by, if you are on the east coast, Annapolis, MD is awesome! Find things to donate to Goodwill. Exercise!! I know, not my favorite ether but, I found this cool site that makes it much more fun and you can do it at home. Check out: Fitness Blender. Go to the local hardware store, like Home Depot – I am telling you, it’s an amazing place really! Make a pop-up greeting card, check out this video on YouTube. Read the dictionary at the Merriam-Webster site – you’d be surprised what great words you can find. Find inspiration to stay sober at The Rooms Project website, where everyday people share their strength and hope. Make Fruit Leather – aka Fruit Roll-Up. See this easy recipe at Simply Recipes. Watch an old “feel good” movie. – My favorite: Singles! Rearrange the furniture in your house. Discover new music at Last.fm! This is a music service that is personalized based on the music you play. Design your own Nike shoes at NIKEiD. Very cool! Learn about something new at About.com. Try on ALL the clothes in your closet. Start a garden, indoor or out! Here is a how-to at the BHG site. Pamper yourself with a facial. Here are some homemade recipes: beauty.about.com. Check out In The Rooms, a great recovery community – it’s like Facebook for people in recovery! See a movie at the drive-in! Oh this is definitely on my list to do! Make homemade ice cream, there are many great recipes at AllRecipes.com. Paint a room! You can use this Room Visualizer to get some good ideas. Go to the zoo, or find a petting zoo. Learn how to make something at wikiHow. Get lost on Pinterest, and find ideas for all your projects and interests. Meditate! There are many ways to do this and you don’t have to be an expert either. Check the How to Meditate site. Take a fitness class, martial arts, rock climbing, yoga. Sometimes first time classes are free or discounted. Take some fun quizzes. Are you left brained or right-brained? Take the test Here. Take up fabric crafts. Knitting, Sewing, and Crochet are fun to do. Go swimming, indoor pools are often available at your local gym! If you love to read books, than you probably would love to write some reviews at Goodreads. Check out Google Translate and translate some words or sentences into any language you want. Volunteer at an animal shelter; they are often looking for people just to pet the animals. Is it wintertime? Go ice skating or skiing! If you love DIY projects the POPSUGAR site has many simple ideas. Take some picture around your neighborhood from a really low vantage point – it will make everything look HUGE! Learn how to take better selfies, check out these ideas: HERE. Learn code! Yes! This is very cool if you’re a techie geek like me. There are free, interactive lessons at Codecademy. Check it out! Have a sober movie night! Check out these addiction/recovery themed movies at Friday Night Pep-Talk: Sober Movie Night. How about going down the memory lane! Check out the My 80’s TV site. Very cool! Want to click cookies for no reason whatsoever? Well, here is a perfect game for you: Cookie-Clicker! Check out answers to your burning questions on Quora. Make mp3 files from all your CDs so you can synch them to your phone! Here is a how to: Rip music from a CD. Have you ever wanted to create a cool Facebook cover or a logo? Check the Canva.com site HERE to create a cool design for free! Gather up a few of your sober buddies and go play Mini Golf! Write a letter (remember those?) to someone you miss, or someone who is no longer in your life. This is a very good way to process things that may be still heavy on your heart. Make yourself a Photo Wall (Or a Collage) photo-collage. You can find some inspiration HERE. Start the 100 Day Sober Challenge at Tired of Thinking About Drinking.Mandalas coloring books can help ease stress. There are many great apps for your phone at the Google Play Store. Start writing your autobiography! Find out how HERE. Document your daily life with photographs. Even a dull day becomes fascinating when you’re trying to spot the beauty in everyday moments. Start a gratitude board! Go to the dollar store and buy a board that you can write on or pin things to and start filling it up every day! Grateful people have no reasons to drink! Watch an old “feel good” movie. You can find an extensive list HERE! Connect to Sober Courage page on Facebook and Sober Courage on Twitter. I was trying to like your FB page but the option doesn’t show on my phone. Ill try later on the PC. I shared the blog on my FB and Twitter! You don’t have chop down trees. That is what I am going to do!! 🙂 Happy Friday! Awesome! Thank you! I just picked up one week fee to LA Fitness by my work! love the list~ here is one I did on a Friday night…. take a painting class! I loved it. So much fun & you can even ask sober friends or go alone! That’s great! I know where I live the community center has fairly inexpensive classes too. I love all the creativity that we find in sobriety! This is such a great post! Thank you for sharing and also for the links! We’re up to 45! Woot woot! Lets keep going! I don’t think I saw this one, but this has filled MANY HOURS for me, and was so completely, decadently fun! If you have Netflix, find a series you never watched before but wanted to. I can’t recommend enough House of Cards! Or revisit a series you loved… we did this with Lost, and it was a good time! You can fill up way more than a Friday night with this one! Great idea! Tend to go for the creative things, I totally forget about the obvious! Thanks for the idea! I am addicted!g it in! I am sharing it everywhere! 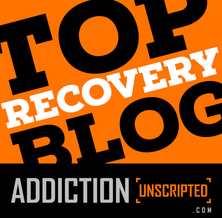 And a Reblog on my Recovery Blog, BUT, Can I just copy & Paste to share it?? I want the whole post up with your permission? WHAT? 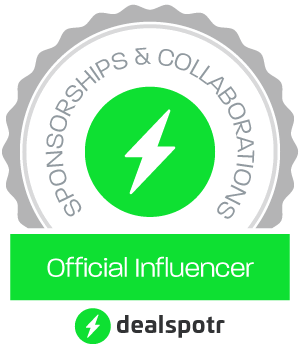 Of course I’ll link back to you and give your blog & name credit!…LOL! Ok. all updated! Thank you! Have a great weekend, Hugs! Well, I just copied & pasted it in my post!! I’m almost done, and I’m asking my recovery pals to help you make it to 100!! In our Comments….LOL! Thought it might be fun! LOL…..You are Live!! And I asked my readers help to make your list up to 100!! They can share in our comments…..We are pretty keen!…LOL. Happy Weekend Mags! My wife runs a facebook page called HalfTheBattleRx and I ran across your blog searching for activites. I am aware of people struggling with their free time and so I came up with this idea, http://www.kanuba.club. Would love to have a vote up or down to see if it’s worth trying to make it happen. Great! Thank you for the links! Thank you so much for your comment. I am glad to hear that you found something helpful on this blog. Keep in touch. Sending many hugs. Ha ha. I bet it is! Thanks for stoppong by Dave! LOL! It was there at some point… thanks for noticing, I’ll re-add it! Trying to find something to do on a friday night. After 10 pm is a bit late for a meeting. Seems like there’s only about 5-6 things on the list that involve human interaction. What do people do to meet new people, without booze? Seems the only place to go around here in the fall/winter is the bars, and thats not gonna happen. I’d go snowboarding. But as with most outdoor activities it’s seasonal, and there’s no snow yet. Thank you for your comment. I know what you mean and I made the list with things that you can do by yourself because early in my sobriety I didn’t have any friends or people to hang out with so I just wanted to keep my mind off drinking. Eventually I made friends with people in meetings and started hanging out with them. For sober fun, my friends and I have costume parties/theme parties, or on quiet nights we get together and color in coloring books and chat. I’ve been sober nearly 11 years and know nothing BUT how to have fun sober!! That’s awesome!! Thank you for sharing and congrats on 11 years! Whoop whoop! Pingback: Is It Possible to Be Too Young To Get Sober? HAHA, but that could be a whole new addiction right there! Plan trips to mansions,lakes,theme parks and/or B n B’s in and around you city or town. Cook a dish you have never made before, whether it be difficult or foreign.. Challenge yourself, could be fun.